Your Membership Helps Us Achieve More Than You Think! Home > Blog > Your Membership Helps Us Achieve More Than You Think! Membership is often referred to as the "Life Blood" of football clubs, but what does that even really mean? We thought we would take this opportunity to explain why your support is so important - and how much further it goes than you probably thought! Auskick participation in our zone increased by 26% - the most in SA! As you can see, Panthers Membership goes a lot further than entry to games and a some cool merchandise each year. With membership so affordable, it is perhaps a little hard to believe it goes so far to help support so much. 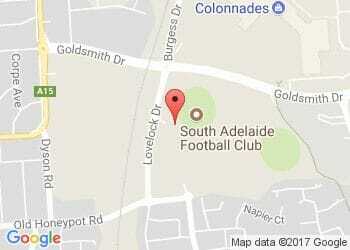 Of course, it is just one of the ways in which football in South Australia is funded. But that doesn't make it any less critical to the ongoing success of our club and the growth of footy in general. So thank you for your support. We hope to have you on board again in 2017. Because we know that you - like we - just love footy! Click here to view our 2017 Panthers Membership options - your support will go a lot further than you think!